Protect Your Family Today and Get 50% off ID Protection Services No Questions Asked Courtesy of the Indiana Sheriffs Association. 24 hours a day,7 days a week! USA ID Recovery Services provides professional Recovery Advocates to assist potential victims. In this age of the technology explosion, our personal information can easily end up in the hands of a thief. You can never be too careful, so having USA ID Recovery on board with us is a great opportunity to help ISA members protect themselves against the fastest growing crime in the country. 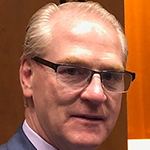 When there is a problem the Advocate develops a Personalized Recovery Plan and can document, dispute, and reverse all fraudulent transactions until the victims’ identity is restored to pre-theft status. Becoming a victim of ID Theft can be one of the most troubling situations a person can experience, especially when they are unprotected. Years of hard work can be wiped out in an instant. 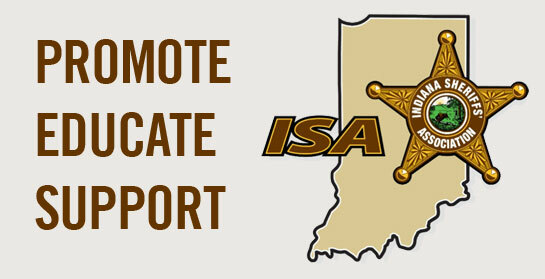 USA ID Recovery makes the choice safe, simple, and secure for ISA members, Indiana residents and their families. Identity theft is the signature crime of this digital age we live in. Everyone has heard of identity theft, but what does this term really mean? It actually goes far beyond credit card fraud. Identity theft is a rapidly growing crime that most people will face at some point in their lives. Identity theft is officially defined as the deliberate assumption of another person’s identity. It is a crime where a criminal acquires and uses the victim’s personal information, such as a Social Security or driver’s license number, to take out loans, obtain new credit cards, rent an apartment, purchase a car, run up debt, file for bankruptcy and many other criminal activities. Identity theft can damage a person’s creditworthiness, impact the victim’s medical benefits as well as create unknown criminal records that can result in the identity theft victim being wrongly arrested or denied employment after a routine background check. How do I become a member of Indiana Sheriffs Association? Joining is easy navigate to this page and proceed to sign up. We would love to have you! Click HERE to join! Our USA ID Recovery/PrivacyMaxx service uses a proprietary Early Warning System to monitor billions of public data sources to detect identity threats and secure one of your greatest assets, your identity. Not only do we offer peace-of-mind, but this service also covers financial loss from identity theft through an Expense Reimbursement Policy covering up to $25,000 in expenses. Our Certified Identity Theft Recovery Experts are available 24 hours a day, 7 days a week if any problem arises involving your identity or a theft of your financial information. The goal in partnering with the ISA is to provide a complete, comprehensive identity protection service to ISA members at an affordable price. How will USA ID help me restore my identity if I become a victim of identity theft? We will help determine if an identity theft event has occurred and guide you through any necessary restoration activities. We will handle the follow-up, paperwork, and phone calls for you, through a limited power of attorney authorization. You will be assigned your own personal Recovery Advocate, who will document your case and perform the necessary actions to recover your name and credit history. Your Recovery Advocate will perform the following actions as they may be required by the circumstances of your case: Place fraud alerts at the three major credit bureaus for you; provide you with copies of credit reports from all three credit bureaus and review the reports with you to identify fraudulent activity; assist you in completing the official identity theft affidavit from the Federal Trade Commission to establish your rights as a victim; contact the Social Security Administration, US Postal Service, Department of Motor Vehicles, among others, to reverse any wrongful information, transactions, or misuse of official documentation as applicable to your case; research and document any fraudulent transactions, false accounts, or contracts signed with creditors, banks, utility companies, leasing agents, medical facilities, etc., and follow up to make sure all wrongful activity is removed from your credit file and work with local and federal law enforcement to stop the criminal(s). The bottom line is your Identity Theft Recovery Advocate will manage your recovery process to help restore your name and credit to pre-theft status. What information does your service need from me? The best part about our service is that you only need to provide your name, address, and phone number. The USA ID Recovery/PrivacyMaxx Early Warning System can proactively monitor your identity profile without using your date of birth, or social security number. You also have the opportunity to have addition items monitored by visiting your Command Center dashboard. This is an added layer of protection for your identity in the USA ID Recovery/PrivacyMaxx protection matrix. Remember, we are monitoring your identity profile 24 hours a day, 7 days a week. If we see a change in your profile’s information or suspicious activity that may be a sign of an eminent identity theft or identity theft in progress, we will quickly call or email and verify this change or you can view your Command Center dashboard for current alerts. No. Credit Monitoring looks at credit. The pro-active Early Warning System watches hundreds of financial and non-financial data sources looking for early signs of identity theft from billions of records inside your identity profile. No. However, our system was designed to help catch identity theft before the thieves take control. If you do become a victim of identity theft, the USA ID Recovery/PrivacyMaxx service includes a $25,000 insurance policy from AIG (American International Group) to give you piece of mind that PrivacyMaxx will always be there to help protect you. Do I have to submit any paperwork to my banks or credit card companies? 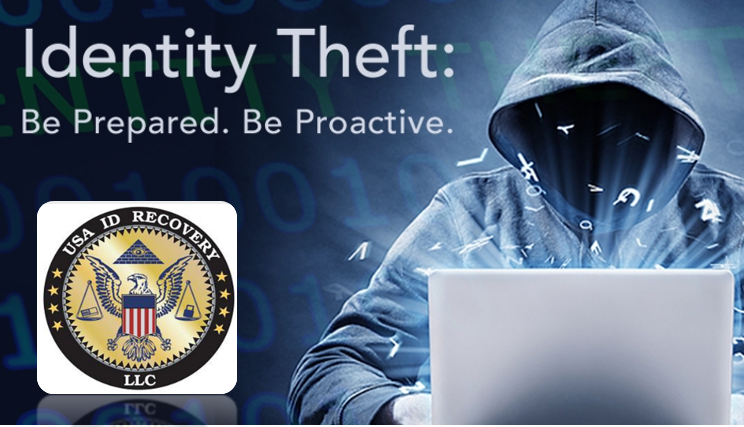 The ID Theft Affidavit provided by credit grantors, consumer advocates, and attorneys at the Federal Trade Commission (FTC) help to make certain that you do not become responsible for any debts incurred by an identity thief. Provide the information in this affidavit anywhere a new account was opened in your name. The information will enable the companies to investigate the fraud and decide the outcome of your claim. We will provide access the ID Theft Affidavit at the appropriate time. What is the Lost Wallet Service? The Lost Wallet Service is a unique, one-of-a-kind service that allows you to store certain information about the contents of your purse or wallet securely online, without having to store full financial or personal information. How do I use the Lost Wallet Service if I lose my purse or wallet? The USA ID Recovery/PrivacyMaxx Lost Wallet Service will become a critical piece of your identity theft protection service in the event your wallet or purse is lost or stolen. Instead of spending the time and effort to find the information to cancel your sensitive personal ID and credit cards, the Lost Wallet Service will quickly guide you through mitigating a loss of your purse or wallet. Simply click “Lost Wallet Service” from your Command Center dashboard. Who do I call if I have an identity theft problem? Our specially trained Identity Theft Recovery Specialists are available 24 hours a day, 7 days a week to assist you. Please do not hesitate to call our recovery center at 1-877.871.5977 if an identity issue arises. Remember time is of the essence to protect your identity. USA ID Protection Services provides a safe, secure and affordable Identity Protection Solution for you and your family!